Easy installation where round cables won't fit. 1m DVI to HDMI Cable - Pro Grade Gold Plated DVI to HDMI male. 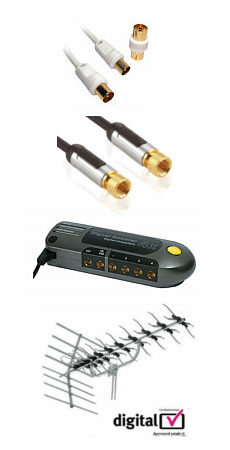 Bi-directional can also be used as an HDMI to DVI Cable. 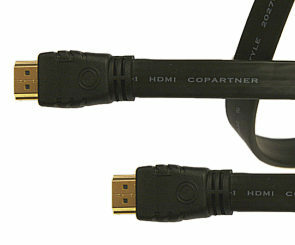 A professional grade cable for transferring high-bandwidth, uncompressed digital video, and control functions Compatible with HDTV and HDCP (High-Bandwidth Digital Content Protection) - the content scrambling standard for modern, advanced digital video displays and DVD players Connectors: DVI-D Male to HDMI Male. 10 year warranty against manufacturing defects.